Feeling overwhelmed by the circumstances of life, or the mission God has called you to? In his homily for the 23rd Tuesday in Ordinary Time, Fr Anthony Casamento reminds us that God never fails to give us the grace we need to carry out His will. 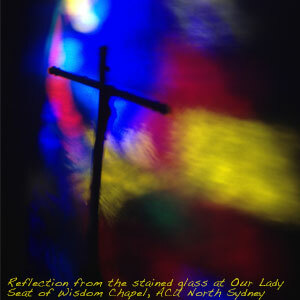 The homily was recorded at the Our Lady Seat of Wisdom Chapel at Australian Catholic University‘s MacKillop Campus in North Sydney.